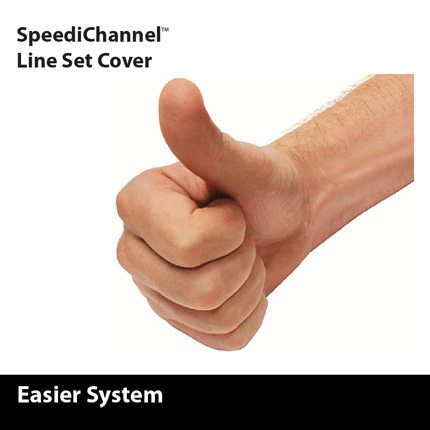 Easier to inventory, transport, install than other systems. 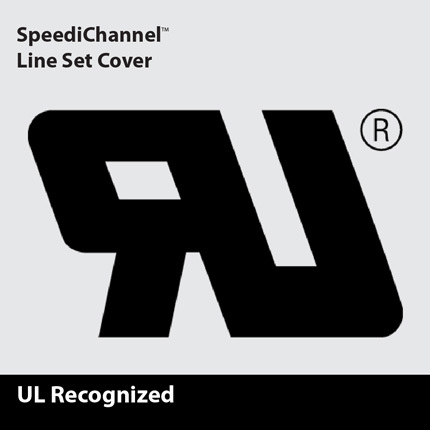 Some competitor products are assembled, but not screwed together. 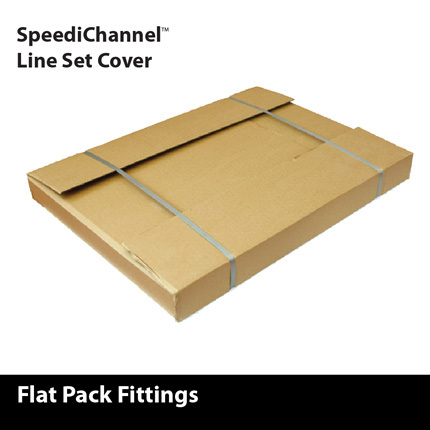 Flat pack fittings take up significantly less warehouse space, and are less likely to be damaged in shipment. It takes only one person to install. 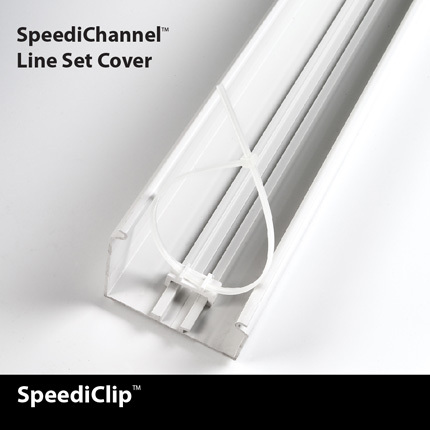 The SpeediClip™ slides into place on a railing molded into the inside of the SpeediChannel™. 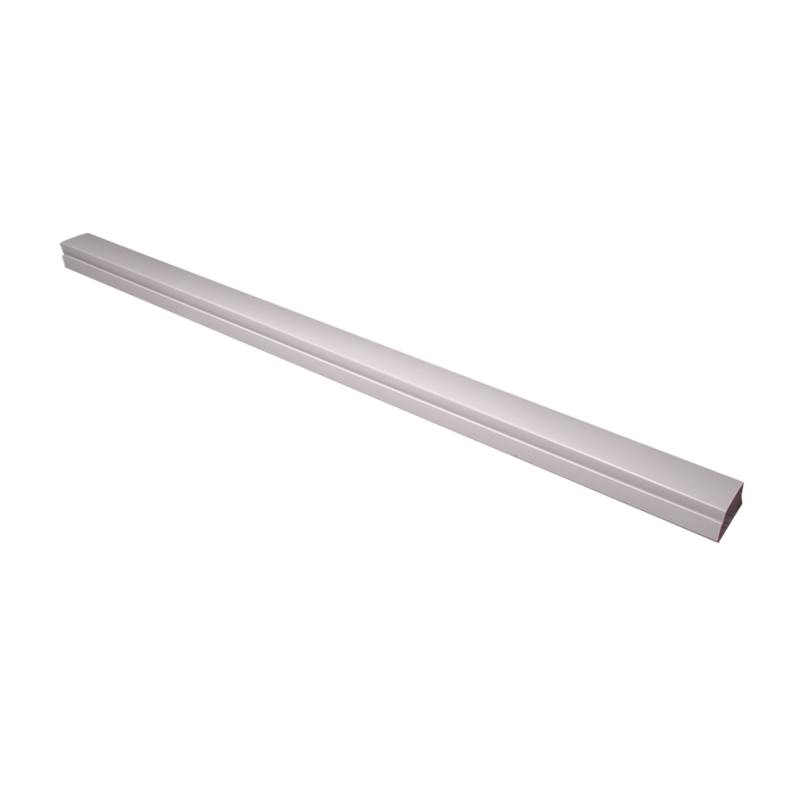 The flat bottom channel sits on surfaces easier and fits into corners better. 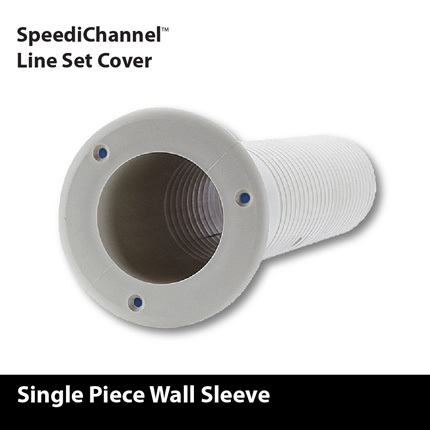 It can be silicone sealed against the wall. 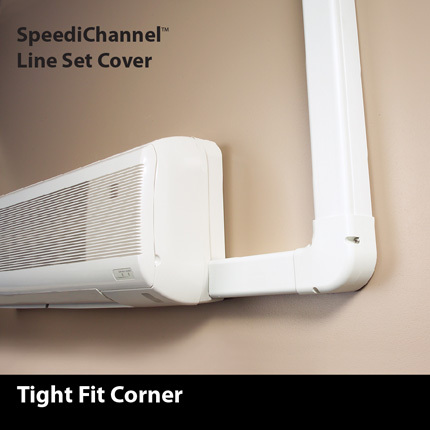 The SpeediChannel™ can be easily customized to any wall construction. 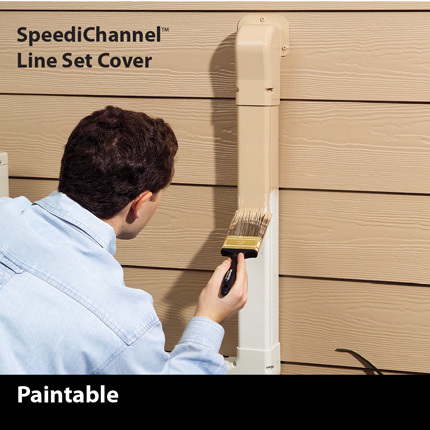 See the Technical Data Sheet for specific painting guidlines and considerations. 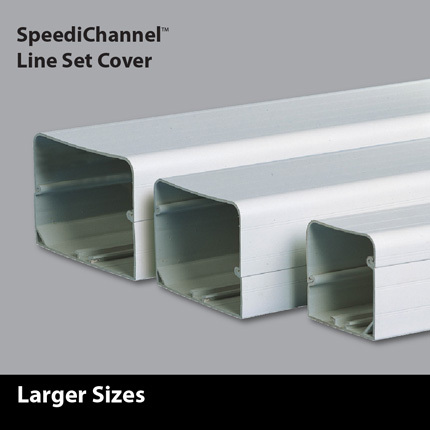 DiversiTech’s large SpeediChannel™ size is a full 6” channel against competitor products that are only 5 1/2”. 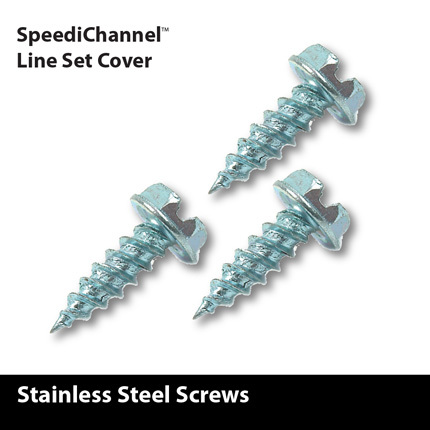 SpeediChannel™ contains stainless steel screws that will not rust. 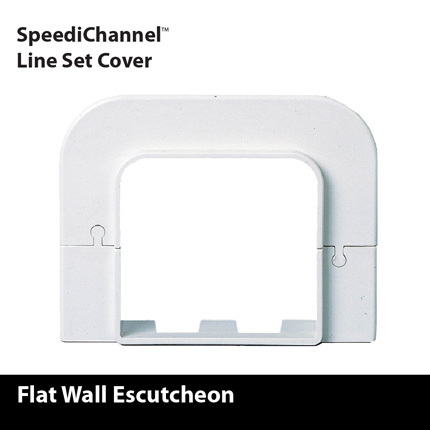 Competitive products have a larger escutcheon that has a displeasing presentation and wastes space. 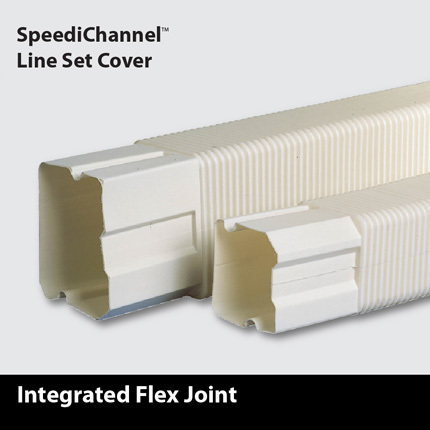 The DiversiTech flex joint slides right into the end of the SpeediChannel™ with no additional joiner piece that competitive products require. 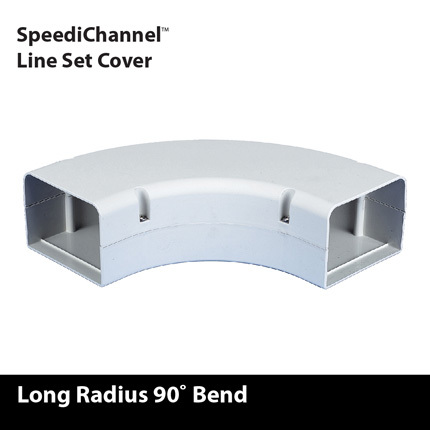 DiversiTech’s long radius 90° bend allows for a larger bending radius for the line set, making installation easier. 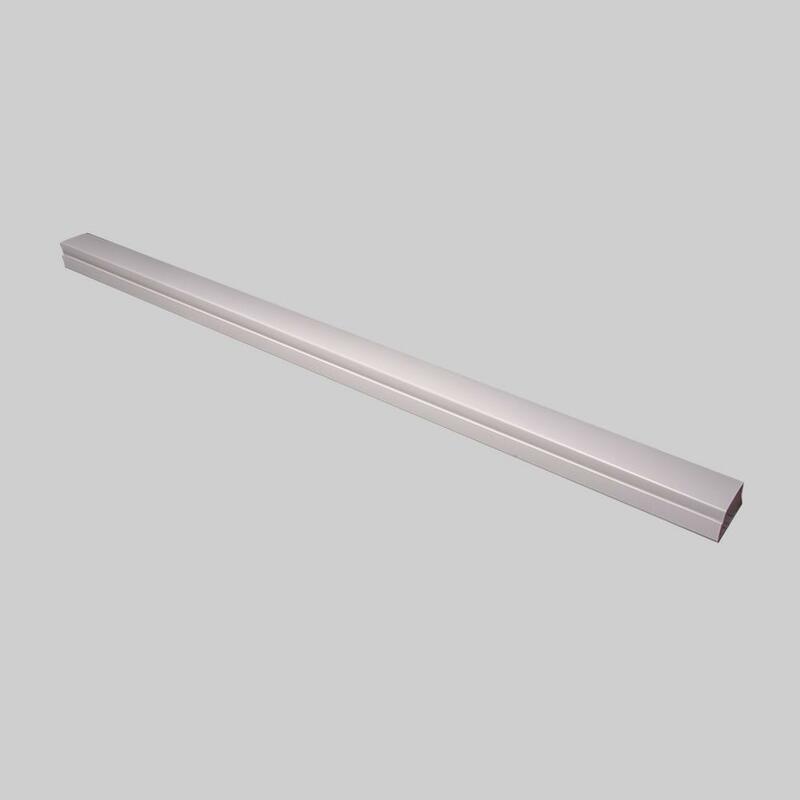 Competitive products are multi-part which is more difficult to handle because of weight or bulk. 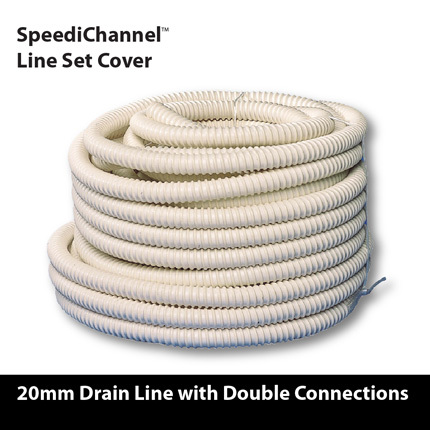 SpeediChannel’s versatile drain line fits 16, 18, or 20mm drain lines. 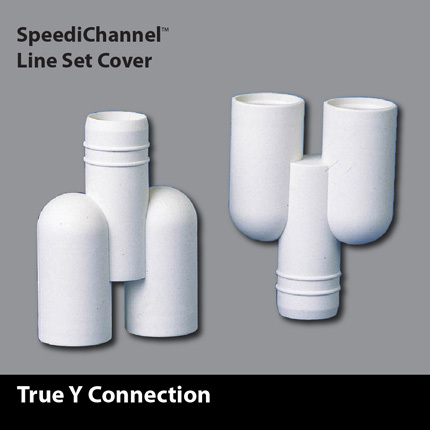 The drain line Y is inline and does not branch. 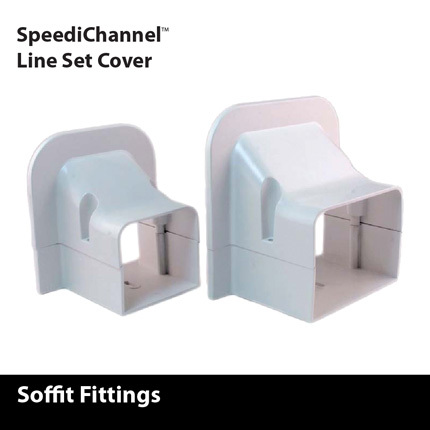 SpeediChannel™ also offers these accessories for outdoor applications where the SpeediChannel™ runs up an exterior wall and enters the house vertically through the soffit. 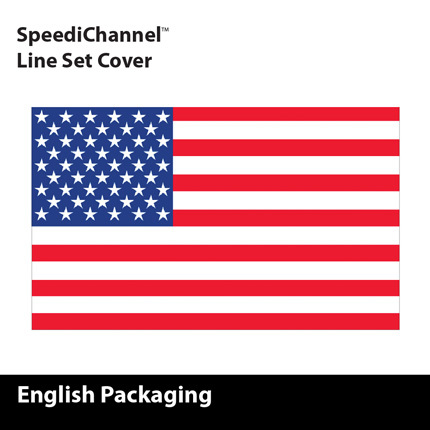 Competitive products have boxes in Japanese language, which can potentially lead to product selection errors.